An Introduction To Latest Computerized Embroidery - Trishtha Industries Pvt. Ltd.
Embroidery is the method of sewing simple or even intricate designs and patterns into fabric or cloth layers. It is a painstaking and originally laborious type of thread-work which needs a lot of patience, imagination and creativity. This decorative art was carried out manually, or by hand, at one time. Today, it has become much less laborious with the help of computerized embroidery. This is done with the help of computers, and makes even mass production of varied designs easier and quicker. How Computerized Embroidery Machines Work? These devices help embroider various designs for you, and are specifically designed in order read designs from a computer attached to it and sew the same patterns. 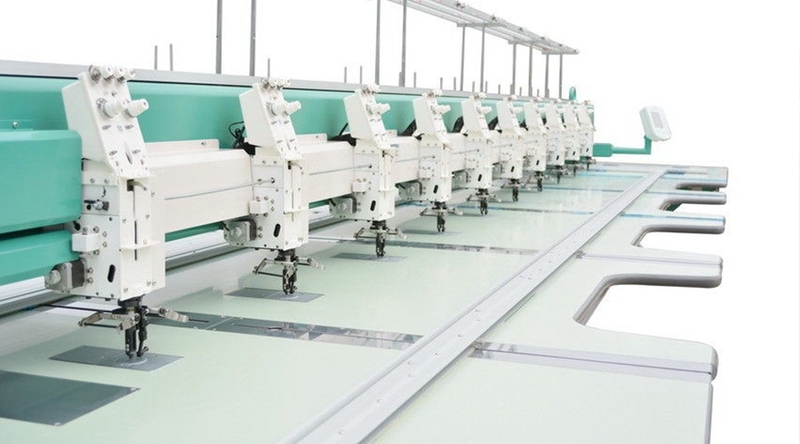 These machines are specifically configured with an embroidery head that stays static and a frame holder which moves the object to be embroidered in any of two directions to allow the design to be stitched easily onto it. Known as a pantograph, the frame holder keeps the framed item steady to be sewn easily. Special type of digitizing software is used by the computer. The design is downloaded into the embroidery device as a special language or "stitch file" format. How These Devices Make Embroidery Easier? These type of devices make use of digitizing software and can be used to stitch any types of embroidery designs onto a cloth or fabric. You can insert your own design into the device or even use it to download different patterns from the internet and produce the type of embroidery pattern that you want. There is no wastage of material, given that the stitch head and needle sew designs exactly as specified in the pattern. The entire operation is computerized, which does not leave any room for manual or human errors. The machine is programmed to execute in a specific manner, and it does not deviate from the pattern.